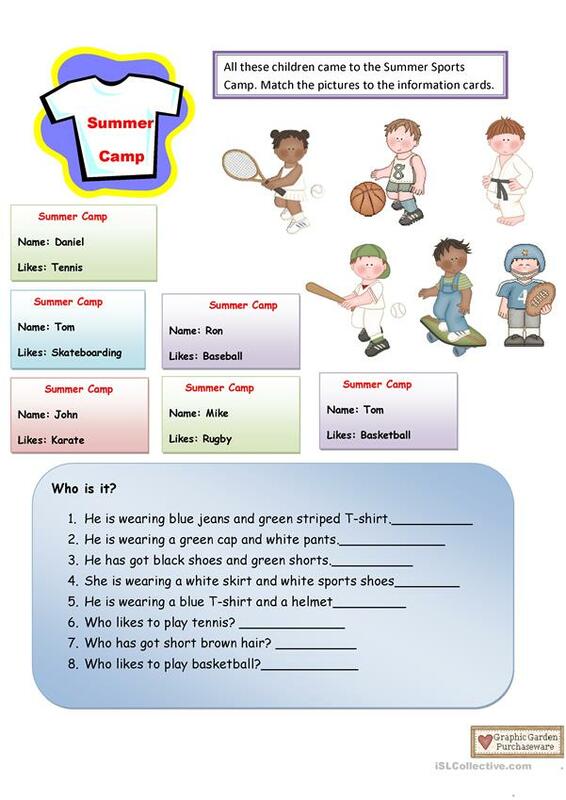 Pupils read ID of the kids in Sport Camp,match them to the pictures and answer WH questions. The present downloadable printable is a great resource for elementary school students at Elementary (A1) level. It is great for consolidating Present simple tense in English, and is a valuable material for improving your students' Reading and Writing skills.